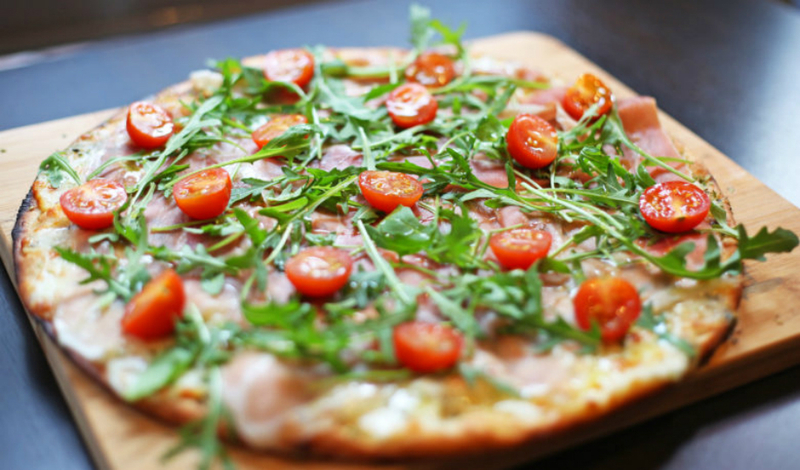 It’s time for a breath of fresh air when it comes to restaurants serving pizza in Amsterdam. The Pizza Heart Bar located on the east part of town serves amazing Italian dishes for both lunch and dinner. But what they are really known for are their delicious Pizza’s with lots of Vegan options on the menu as well. This makes life a little easier for any plant-based eater, because who doesn’t love a good slice of crispy crusted pizza?! The lunch menu offers Piadina’s, loaded healthy salads and soups. Try the Fichi, a sandwich with mozzarella (vegan or normal), ricotta, dried figs, walnuts & honey. It’s delicious. Your night starts off well with any of the tasty antipasti dishes, or choose from the wide range of Bruschette. The pizza’s that are on the dinner menu come with a thin crispy crust and a wide range of surprising toppings next to classics like the Margarita. Our favorite is the Daviola with spicy Italian sausage, bell pepper and dried peperoncino. From the vegan menu the Colori with vegan mozzarella, spinach and olives is a must try! Room left for dessert? The Chocolate Soufflé is mouthwatering good. And to make the evening complete, how about a glass of champagne with that? Monday - Friday 12:00 - 11:00 p.m. Saturday - Sunday 5:00 - 11:00 p.m.